Subscribe to obituaries notifications by email. Donato “Don” Martinez, age 93, passed away Saturday, October 20, 2018 in San Antonio, Texas. He was born in Laredo, Texas on January 12, 1925, to the late David & Efigenia Martinez. San Antonio, Texas became his home for over 72 years. He was inducted into the US Marine Corps. during World War II and was stationed in Jacksonville, Florida where he met the love of his life, Betty Crosby. He is preceded in death by his wife, Netha Elizabeth “Betty” Martinez, his sisters Irene Hernández and Ofelia Gutiérrez. He is survived by numerous nephews, nieces, and great-nephews and nieces. He was an extraordinary uncle! He embraced all those that entered his world with open arms and an open heart. He will be missed by many but above all, we will hold him dear in our hearts forever! On behalf of the entire family, we express our most heartfelt gratitude to all those that touched his life so genuinely during his last few years. Your loving care and devotion were always present. Above his stairway to heaven, his lovely wife waits for him as they dance their way into eternal life! The family will receive friends from 6:00 pm to 7:00 pm on Friday, October 26, 2018 at Porter Loring Mortuary North. Entombment will take place at Chapel Hill Memorial Park Mausoleum. Special thanks to pallbearers: Allen Castro, Daniel Gutiérrez, Orlando Gutiérrez, Eduardo David Hernández, Nicolas Ricardo Hernández, Lorenzo Valencia, and Steven Valencia. Joe M. Lara, III was born March 1, 1960 to Guadalupe and Joe Lara, Jr. in San Antonio, Texas and died peacefully surrounded by his family on October 22, 2018. The oldest of seven children, Joe was eventually raised by his grandmother, Cruz Martinez, where he received great wisdom and insight. Joe was very inquisitive as a child, systematically excavating the backyard in search of artifacts or playing for hours with his junior chemistry kit. This curiosity instilled in him his love for learning. He graduated from Wheatley High School in 1978 and in the fall entered Southwest State University where he earned a Bachelor of Science degree in biology with a minor in psychology in 1983 and later a second Bachelor of Science degree in anthropology in 1985. 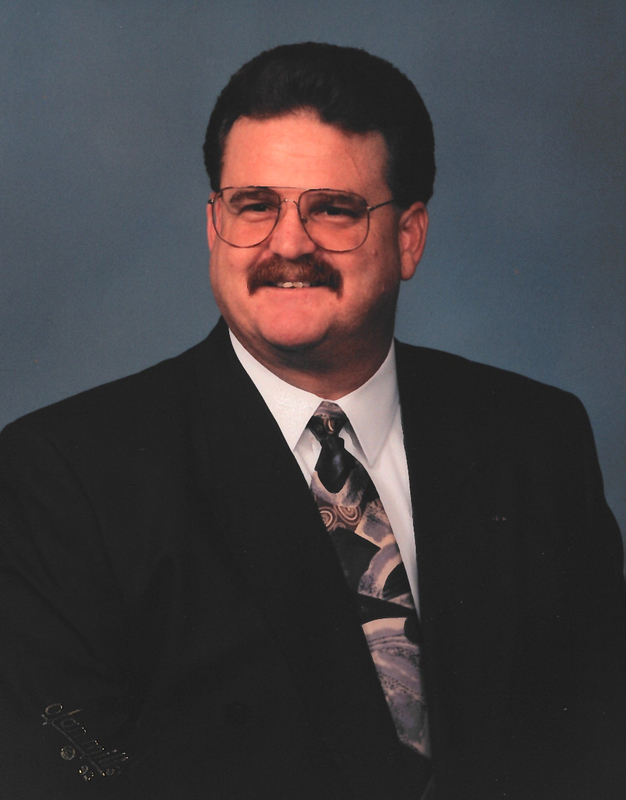 After briefly working as an archeologist, Joe was hired as the City Sanitarian for the City of New Braunfels in 1988. Unbeknownst to him, Joe would make this his lifelong career for 28 years. During his first year, Joe became a Registered Sanitarian through the Texas Department of State Health Services (TDSHS). Joe continued to learn and became proficient in various areas earning representations in different agencies, Texas Commission on Environmental Quality (TCEQ) Designated Representative, TCEQ Site Evaluator, TDSHS LHA (Municipal Local Health Authority and Zoonosis Rabies Control Authority), Secretary to Animal Services Commission Board, and Archeological Liaison to Texas Historical Commission. Through his unwavering diligence, Joe sought to expand the scope of the Environmental Health Department by implementing numerous programs and passage of various statutes for New Braunfels. His efforts enhanced the profile of the department and the City throughout the region. He investigated epidemiological outbreaks including foodborne illnesses, public water issues, rabies, TB, and the like. Later in his tenure, Joe was asked to conduct the city orientation tour for newly hired employees. Having been with the City for so many years, Joe was very well-versed with the history of the City and thoroughly enjoyed sharing his wealth of historical knowledge. One of his last contributions that impacted the community the most was the ratification of the Trap Neuter and Return Program for feral cats. Joe believed this program was a humanitarian measure to keep the homeless and abandoned cat population at bay while also decreasing high euthanasia rates. At the April 2018 City Council Meeting, it was reported that since the inception of this program euthanasia rates had dropped 70%. He retired as the Environmental Health Services Manager. It was during his early years at the city that he met his future wife, Belinda Bazán, who was at that time the Director of Nutritional Services at McKenna Memorial Hospital. It was love at first sight and after two years of professional interactions and two years of dating, he married his best friend on July 23, 1994. He loved her deeply and they shared a lifetime of love together. Joe instantly became a dad to Iliana Danielle Bazán with this union. Years later she asked him to legally adopt her, which truly thrilled him. Joe enjoyed vacationing with his family to Disney World when Iliana was a child and later to Mexico to explore his heritage. New Orleans also held a special interest to him. Joe enjoyed experimenting with food preparation, especially BBQ. He was indeed a grill master and no one could prepare a spread like he could. Some raved about his grilled smoked salmon while others thought his brisket was superb. Grilling relaxed him and gave him opportunities to bond with the doggies as they supervised the grill master! In March 2015, Joe was diagnosed with ALS and fought this brutal disease with much valor, dignity, grace, and acceptance. He chose to live life and not have this disease identify him. He continued to work for the City of New Braunfels until he could no longer physically meet the demands of a routine day. With much sadness, he retired June 30, 2016. On that day, the State of Texas flew the Texas Flag in his honor as a tribute to his contribution to the city. This was the first time in the history of the city that an employee had been recognized in such a significant manner. Joe fostered many lasting friendships throughout his career and at his retirement it was standing room only in the City Chambers. He loved his work and believed his contributions made a difference for the community. On April 17, 2018, Joe was awarded the first annual City Manager’s Lifetime Legacy Award for his dedication to the City of New Braunfels. Once retired, Joe learned to utilize a special computer whereby his retinas would control the cursor. Joe continued to research, keep up with current events, and stay connected with family and friends. Even as successful as Joe was in his professional career, he was most proud of being a loving and devoted husband, father, and grandfather. He nurtured Iliana and guided her to become a strong, vital, and dynamic individual. His influence on her will forever be his legacy to Iliana and her family. He loved Evangelina from the moment he learned she would be a new member of the family. Pictures of them clearly depict how much he loved his granddaughter. Joe is preceded in death by his grandparents, aunt, uncles, and cousins. 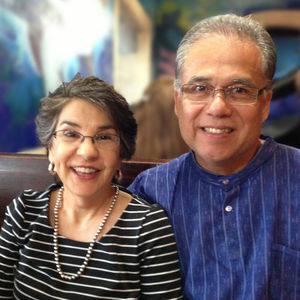 He is survived by his devoted and loving wife, Belinda Bazán-Lara; daughter, Iliana Bazán McGurn and son-in-law, Michael Francis McGurn; precious granddaughter, Evangelina Grace McGurn and future grandson, Finnian Joseph McGurn; parents, Lupe and Joe Lara; siblings, Terry Lara (John), Genevieve Henry (Perry), Jesse Lara (Linda), Jimmy Lara (Hayli), Jerry Lara (Kelly), Javier Lara (Eloise); aunts, Tony Martinez and Josie Segura; uncle, Manuel Martinez; and numerous cousins, nieces, and nephews. His faithful companions, Paco, Mia, and Nico will surely miss him as well. Our family wishes to extend a profound gratitude to Dr. Albert Mosqueda. Dr. Carlyne Jackson and her team at the MARC, especially Pam Kitrell, RN, Debbie Myers, PT, Autumn Cleg, OT, Karen Martin, RD, Lori Tyler, ST, Rick Wettstein, RT, as well as the RQS team who diligently cared for Joe during these past three years. Our deep appreciation to Abimbola Falayi, CNA for his enduring and loving care for Joe; our gratefulness to Elaine Foreman, RN and Elizabeth Love, LVN for their constant attentiveness and assurance and to Liz Johnson. Our utmost appreciation to the ALS Association for their assistance. We would not have been able to walk this arduous journey if it had not been for the Bazán family and our friends that were always there to lend a helping hand. We will be forever indebted to your unwavering support. In lieu of flowers and cards the family requests donations to the ALS Association, http://webtxportal.alsa.org/goto/joescrew2018 and donate to Joe’s Brew Crew, 4939 De Zavala Rd, #105 San Antonio, Texas 78249, or the New Braunfels Community Cat Coalition, www.nbcats.org, 3353 Morningside Drive, Suite C, New Braunfels, Texas 78132. 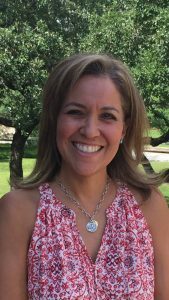 The vigil will be held on Sunday, October 28, 2018, at 7:30 pm at St. Francis of Assisi Catholic Church, 4201 De Zavala Rd, San Antonio, Texas 78249. Mass of the Resurrection will be held on Monday, October 29, 2018 at 10:00 am at St. Francis Assisi of Catholic Church. 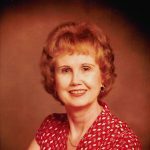 Mary Virginia “Ginny”, age 89, passed away peacefully on September 11, 2018, in San Antonio, TX. Ginny was born to Reginald and Mary Marois in Plymouth, MA on August 26, 1929. Ginny was a loving and generous mother, mother-in-law, grandmother, great-grandmother, sister, and friend. She was a gourmet chef, an avid gardener, and a tenacious bridge player making her known to her bridge group as “the little barracuda”. She was preceded in death by her son, Gerald Bastoni, and her former husband, Robert Bastoni. Ginny is survived by her children, John Bastoni (Linda), Ann Marie Randall, Jim Bastoni (Amy) and Pete Bastoni; daughter-in-law, Barbara Kozero; grandchildren, Jake Bastoni (Abby), Ellen Bastoni (Mike Bosch), Cara Bastoni, Lisa Bastoni, Jenifer Bastoni, Greg Spiller, Erik Spiller, Christopher Randall, Nicholas Bastoni (Alexandra), Matthew Bastoni, Brian Bastoni and Mark Bastoni; sisters, Carol Zahn and Marjorie McCarthy. “Rusty” League (age 68) was born to SMgt. Ed League Sr. & Rose League at Kindley A.F.B., Bermuda, on October 22, 1949. Sporting a full head of curly red hair, Rusty was nicknamed by his beloved godmother after her Irish Setter. He answered God’s call to see Jesus, face-to-face, on September 4, 2018. His Mom, Rose Brusa League, died when he was a year old, and his Dad remarried when he was three. Rusty was “all boy” and a magnet for mischief, but grew up to be a caring, giving man under the discipline of a career military dad. His biggest advocate was his step-mom, Thomasina Pileggi League, fondly nicknamed “Tommie,” who Rusty faithfully called Mom until her passing. Rusty and his family moved to San Antonio from Atlantic City, New Jersey (his Dad’s hometown) in 1962, when MSgt. League was transferred to Lackland A.F.B. He graduated from Thomas Jefferson High School in 1967, and while he never finished college, he was always quick to say he had a degree in life experience. Rusty’s biggest love was cars, and he was a self-confessed car nut who could name the year, make, and model of most any car he saw on the road. He spent the first few years of his working life as a car salesman and finance man for several car dealerships. He met the beautiful, Ms. Marilyn Dupnick, while selling cars and his life changed forever. His future in-laws disapproved of their baby girl dating a “car salesman,” so he applied to the telephone company, and was hired as a customer service representative. Marilyn and Rusty were married in August of 1979 and they have thrived “in good times and bad” for over 39 years. At Southwestern Bell, he advanced to Senior Account Executive. He moved to computer sales and sold mid-to-large sized mainframe computer systems for several years. Rusty finally found his true passion as a professional mortgage banker, and for the next 25 years, he helped thousands of San Antonians finance their dream homes. He loved to tell people he “sold” money for a living! Born and raised a Catholic, Rusty was an active member of St. Francis of Assisi Catholic Church in San Antonio since 1988. He served on many ministries and at one time was noted as the “unofficial” official greeter for all who entered St. Francis on any given Sunday at 9:00 a.m. Mass. Rusty wanted to welcome everyone with a smile and a handshake to God’s house. Rusty was also a member of the Knights of Columbus at St. Mark the Evangelist Catholic Church, a 4th Degree Sir Knight, and the Past Grand Knight of the St. Mark Knights of Columbus Council. 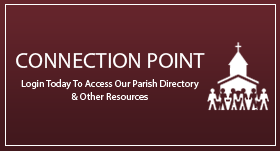 He transferred to the new Council at St. Francis of Assisi in 2016. Rusty will always be remembered as the man who made you smile. Quick with a joke, he made it a point to bring a smile to anyone’s face, sometimes at his own expense. He told folks all the time that they were “God’s blessings” to him when they cracked their wonderful smile! While Rusty and Marilyn had no children of their own, he worked very hard for children in need. He was a member of The Forgotten Child, which supports abused children taken into custody by the State of Texas through Child Protective Services. He believed that no child should be the victim of an adult abuser and spend their lives thinking they were not loved. Rusty is survived by his wonderful wife Marilyn, his four sisters, Kathy (Enyat) Afnani, Theresa League, Margaret (Jamie) Dugan and Mary League Jensen. He is also survived by his brothers and sisters-in-law, Richard & Rebecca Turnage and Bob & Patricia Wood, and eleven nieces and nephews. Rusty would want any memorial contributions made to a Children’s Charity of your choice. Isabel Lanier Villarreal, mother of St. Francis of Assisi parishioner Cedar Joiner, was born in Cienfuegos, Cuba on March 20, 1928. At the age of eighteen, her parents sent her to the United States to live with her brother and help him with his new family. She was beyond selfless. She was always extremely proud of her Cuban heritage and never forgot where she came from. She always supported her family back in Cuba, sending clothes and money every month. She was the most giving person. If you liked something of hers, it would become yours. Isabel soon became a loving wife of 48 years to Jose Albert Villarreal. Together they had four wonderful children, Joe Albert, Mary Isabel (Cedar), Mary Elena (Lana) and Mary Irene (Irene). Yes, they were all named Mary, after the Blessed Mother, and how beautiful, Isabel herself passed away on the Assumption of Mary. Isabel was awfully creative and an astounding artist. From her wonderfully captivating landscapes or naturalistic paintings to playing piano and guitar (mostly all by ear) to her remarkable sewing skills (she worked as a hat seamstress for Joske’s and Frost Brother’s department store). 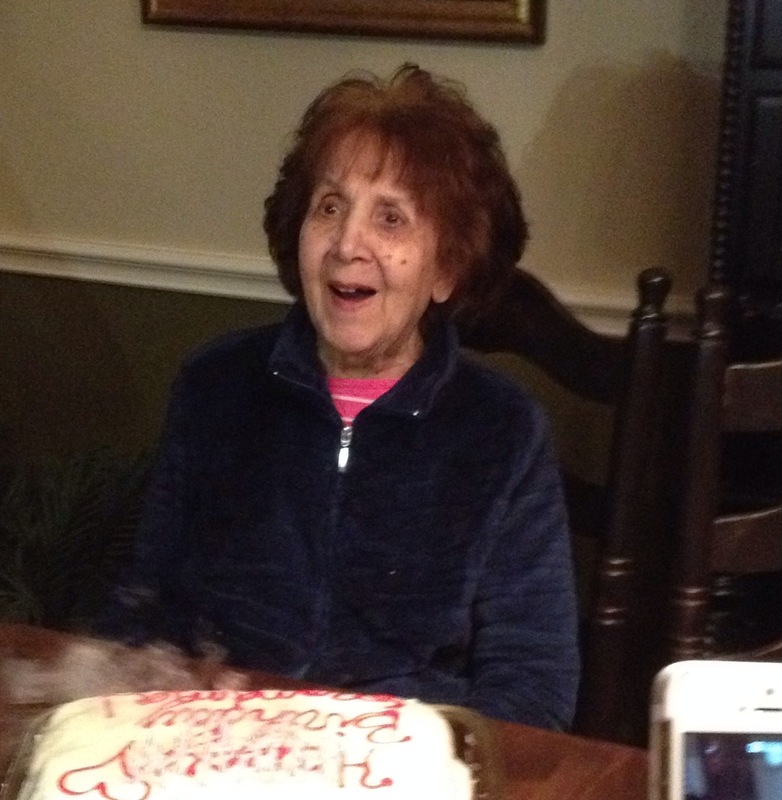 She loved her eleven grandchildren immensely. She was always taking care of all the grandchildren in the family, even moving in with Irene and Curt to help them when their baby Gunnar was battling for his life. She never complained and never asked for anything in return. She was always there when you needed her. She would give you her last dollar. If you were in her life she always had your back against anyone, whether you were right or wrong it didn’t matter, she was there for you. Our hearts ache without her, but our endless memories of her continue to bring unsurpassable joy. Heaven just got that much better with this crazy angel. She is survived by her sister-in-laws Irma Villarreal, Regina Villarreal, Joise Villarreal and brother in law Eddie Altamirano and wife Ruth. Her son Joe Villarreal, Jr., daughters: Cedar Joiner, Lana Story and husband Sam, Irene Harwerth and husband Curt. Her grandchildren: Paul Villarreal, Alex Holifield, Ashley Holifield, Garrett Joiner, Eric Story, Luke Story, Grant Harwerth, Kirsten Harwerth, Giffen Harwerth and Joshua Canseco. Her great-grandchildren: Calvin Villarreal, Laila Villarreal, Cassius Villarreal, Samantha Canseco and Destiny Canseco. great-great-grandson Elijah. Friends and family are invited to celebrate her life at St. Joseph Catholic Church-Honeycreek, 25781 Hwy 46, Spring Branch, TX 78070. 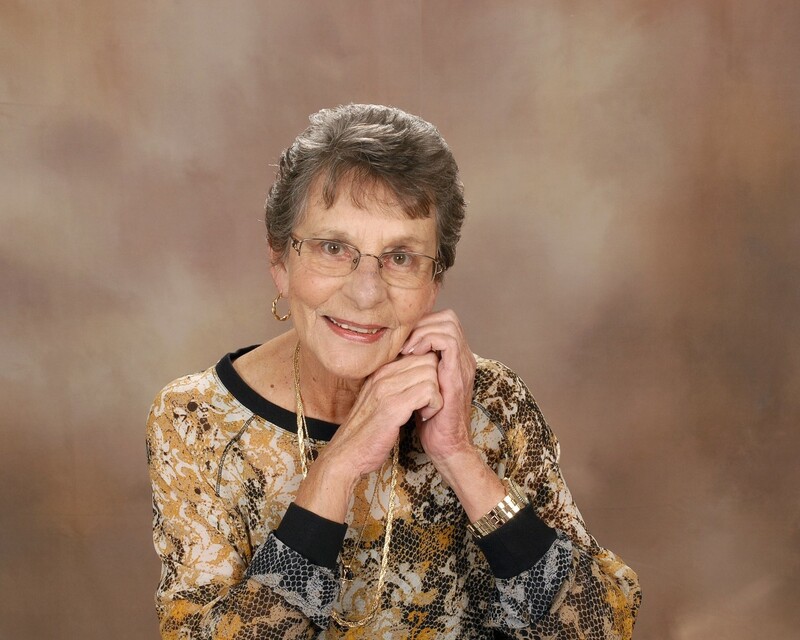 Marjorie Ann (Holzmann) Pierce, age 92, passed away on Thursday, August 16, 2018 in San Antonio, Texas. She was born on February 4, 1926 to Herbert P. and Erna Raba Holzmann. She graduated from Thomas Jefferson High School, then worked at Lackland AFB where she met her husband, Glenn. She was a loving wife, mother, grandmother, and great-grandmother. Marjorie is survived by her beloved husband of 73 years, Glenn P. Pierce; son, Dennis W. (Geraldine) Pierce; daughter, Cheryl A. (Allen) Snyder; grandchildren, Melanie (Russ) Seay, Mark Snyder, Brianne (Brandon) Jekel, Lisa (Jack) Curtis; great-grandchildren, Payton, Olivia, Ava, Emma, J.T., and Callie; brothers, Herbert A. Holzmann and Frank D. Holzmann; sisters, Connie O’Neill and Betty J. Brunner; and numerous nieces and nephews. Special thanks to Esplanade Gardens and River City Hospice for taking such good care of Mom. Mom, you are now at peace and will always be in our hearts. Love you. Rosary: Thursday, August 23, 2018 at 7:00 PM at Porter Loring Mortuary North Chapel. Mass will be Friday, August 24, 2018 at 10:30 AM at St. Francis of Assisi Catholic Church. Interment will follow in Fort Sam Houston National Cemetery. Pallbearers will be Allen Snyder, Mark Snyder, Tom Holzmann, Russ Seay, Brandon Jekel, and Rick Holzmann. In lieu of flowers, memorial contributions may be made to Parkinson’s Research. You have been told what the LORD requires of you: Only to do justice and to love goodness, and to walk humbly with your God (Micah 6:8). John T. Davis went to be with our Lord on August 9, 2018. He was preceded in death by Jane Layer Davis, his beloved wife of 47 years; his infant son, Kevin; his parents, William C. Davis and Mary Tynan Davis; and his sister, Mary Sewell Hight. He is survived by his four brothers, Fr. Bill Davis, Robert Davis, Michael Davis, and Donald Davis; his four daughters and their husbands, Debbie and Rick Di Filippo, Beth and Gabriel Font, Laurie and Michael Fillmore, and Shannon and Layton Garrett; twelve grandchildren; and eleven great-grandchildren. He also leaves many devoted family members and close friends. John T. Davis was born in Austin, Texas on August 20, 1935. He graduated from St. Mary’s University in San Antonio with a business degree. As a gifted salesman, he sold computer systems around the world. His Texas charisma and affection for people transcended language barriers and cultural differences. John T. knew he was blessed and embraced each person he met with joy and with a compassionate, merciful heart. He encouraged and inspired others to face life’s challenges with faith and hope. John T. always reminded us that upon death we will want mercy not justice and to accept everyone with love and compassion. John T. loved his family, family reunions, country music, five-star restaurants, honky-tonks, and airplanes. He believed one of his greatest accomplishments was flying solo and living to tell about it. John T.’s optimism and exuberance for life will be greatly missed. 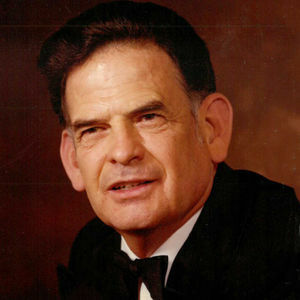 John T. was a Knight of the Equestrian Order of the Holy Sepulcher of Jerusalem, a member of the Holy Family Guild, the Knights of Columbus and Order of Alhambra. John T.’s family would like to thank all who loved and ministered to John T., especially, Josh and Shantel Davis, Sam and Shannon Davis, and his dear friend, Mary Claire Cater, the nurses at Compassus Hospice, and the wonderful caregivers at the Village at Incarnate Word Retirement Community. Fr. Charlie Banks will officiate. Interment will follow in Holy Cross Cemetery. In lieu of flowers, memorial contributions may be made to The Village at Incarnate Word Nursing Home and Make A Wish Foundation . 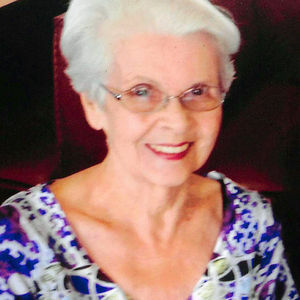 Cecile Elena Robichaud, born August 3, 1940, in Chelsea, Massachusetts, passed away in San Antonio on July 21 at the age of 77. She was preceded in death by her parents, Anthony and Elena Roselli, and her beloved husband, James Robichaud. Cecile is survived by her loving daughter, Lisa Robichaud (Brian Purdy) and three grandchildren, Courtney, Kimberly, and James, and a great-grandson, Kayden. She is also survived by brothers Edward Roselli (Nancy), Anthony Roselli (Hoda), and sister, Barbara Haley (Lawrence Sanders), and other cherished relatives and friends. She had resided in California for many years before relocating to San Antonio six years ago. Cecile was an active member of the Assistance League of San Antonio and an avid volunteer for the Rodeo Association. She was a member of St. Francis of Assisi Catholic Church on De Zavala Road in San Antonio, where a memorial Mass will be celebrated on Thursday, August 16 at 2 pm. Remembrances can be made in her honor to the Assistance League of San Antonio, P.O. Box 13130, San Antonio, Texas 78213. Remembrances can also be made to the American Cancer Society or the charity of your choice. With his passion for flying, it is only fitting that the Lord God would call Rick to His heavenly presence “on eagle’s wings…in the breath of dawn”! Peacefully, Rick passed away the morning of July 11, 2018. Rick was born May 1, 1949 in New Bedford, Massachusetts to Louis Edward Doucette and Antoinette Ann Kaminski. Throughout his life, he was a gentle, loving soul; always friendly, honest, caring to everyone, and had a great sense of humor. Even in high school, Rick’s strong faith in God, his moral convictions, sense of responsibility, and commitment to family and community, formed his lifelong ideals. From service to his country to service to his church and multiple organizations, he was always ready to fulfill the needs of others. After graduating from Lowell Technological Institute with a degree in Business Administration, he served 20 years in the United States Air Force as a Services Officer. During that time, he also met the love of his life, Patricia Gieselman, in San Antonio and married on December 22, 1979. Together they enjoyed life in England, Germany, and Texas, meeting new people and creating lasting friendships. 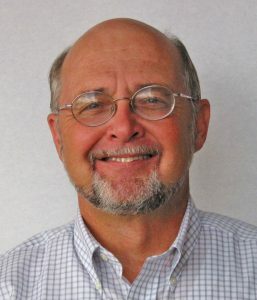 Upon retirement in 1991, Rick worked in Dallas as a Forum Leader for AOL computers, a Software tester for Aldus/Adobe Corporation, and later became self-employed as owner of Doucette’s Desktop, publishing commercial and church-related newsletters. He and Pat returned to San Antonio in 1997 and followed God’s call to adopt their beautiful daughter, Lydia, in 2003 who has always held a special place in Rick’s heart. After an ACTS retreat with the theme “Here I am Lord, I will go, if You lead me”, Rick felt called to work for the church. His ministry began at the Archdiocese of San Antonio Today’s Catholic Newspaper as a staff writer/reporter; and then as Director of the Office of Social Concerns, evangelizing and encouraging Catholics at all levels to “put their faith into action”. He was passionate about pro-life, abolishing the death penalty, and all aspects of social justice. He “walked the talk” volunteering as Board President of Allied Women’s Center (a pro-life crisis center), by actively participating in many Right to Life activities, and serving as a board member of Dress for Success, an organization helping women succeed in employment. In addition, he has been a member of the Knights of Columbus, serving as Grand Knight, and assisting in many parish and community events. Rick had many passions and skills. He loved flying airplanes, both inside the cockpit of real airplanes, and from the ground with his remote control model airplanes. Cats were his favorite pets, many of which he cared for over the years. He was devoted to his family and friends. Rick took great pleasure in getting to know everyone he met from all walks of life and accepted everyone for who they were without judgment. Those who knew him would agree he could hold a conversation about almost any topic with anyone. He was an avid reader; loved learning about a variety of things from science/technology, solar energy, airplanes, religion, politics, to information on how to build things (This Old House was one of his favorite TV shows). When he set his mind to accomplish something, he did so with perfection in mind—whether it was to build a deck and stone walkway, fly an airplane, write a newsletter for an organization, or plan a gala to raise funds for non-profit organizations. Although Rick at times may have doubted his ability to accomplish his life goals, in other people’s eyes he has accomplished them all! God has indeed called Rick to Him on eagle’s wings, making him shine like the sun, and is now holding him in the palm of His hand. Rick is preceded in death by his mother and father. He is survived by his wife, Pat, his daughter, Lydia, his sister, Louise Doucette, and niece Tory Eskenazi. The following services in celebration of Rick’s life will be held at St. Francis of Assisi Catholic Church, 4201 De Zavala Rd, San Antonio, TX 78249: Friday, August 3, 2018, 6 pm Visitation. 7 pm Vigil Service. Saturday, August 4, 2018, 9 am Visitation. 10 am Memorial Mass. Interment will be on Monday, August 6 at 10:15 am at Ft. Sam Houston National Cemetery, 1520 Harry Wurzbach Rd, San Antonio, TX 78209. In lieu of flowers, please make a donation to Allied Women’s Center or the charity of your choice.